A 3D Movie about DeforestAction? | Collaborate for Change! A 3D Movie about DeforestAction? I first heard about the Burning Season – an award winning documentary movie by Australian film maker Cathy Henkel – when I met with the wonderful team in NSW Education Department. 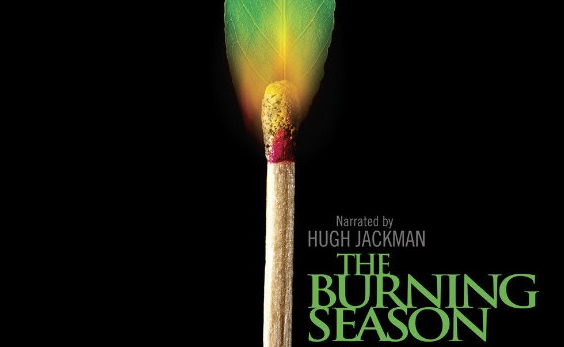 Award winning documentary "The Burning Season"
Yesterday, I was fortunate enough to meet with Cathy Henkel, and share the project we’re running. Within minutes, it was clear we would be joining forces on this project. Her whole team were 100% on board, and immediately understood where we were heading. In fact, by the end of the meeting there were serious suggestions that this may even be the theme for the new movie they are looking to make – and best of all – it would be filmed as a major 3D motion picture.